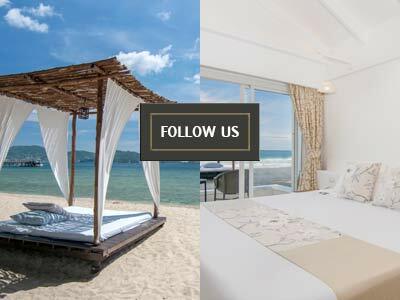 Want more of a local experience while visiting Phuket? Bored of the beaches and the nightlife Patong has to offer? Visit the Phuket Walking Street (LardYai) located in old Phuket Town. 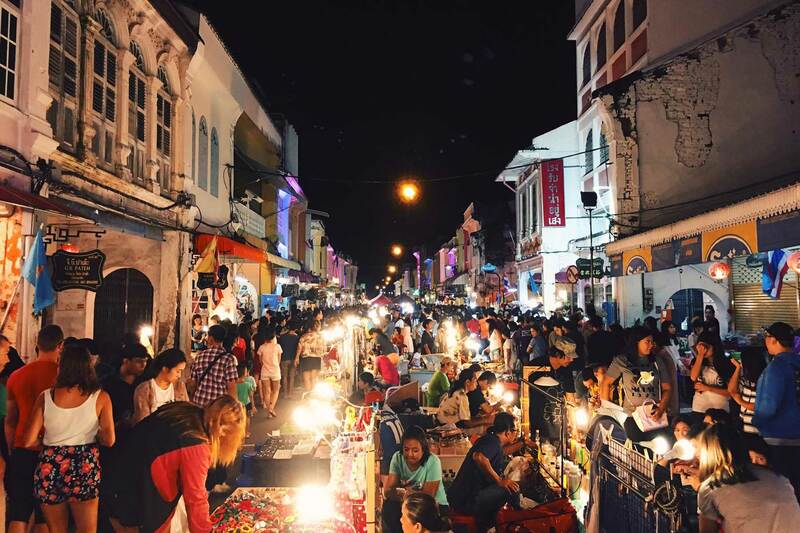 Every Sunday evening, Thalang road situated in the heart of old Phuket Town, is closed to traffic and transformed into 400 meters of walking street packed with food, souvenirs and live street shows. 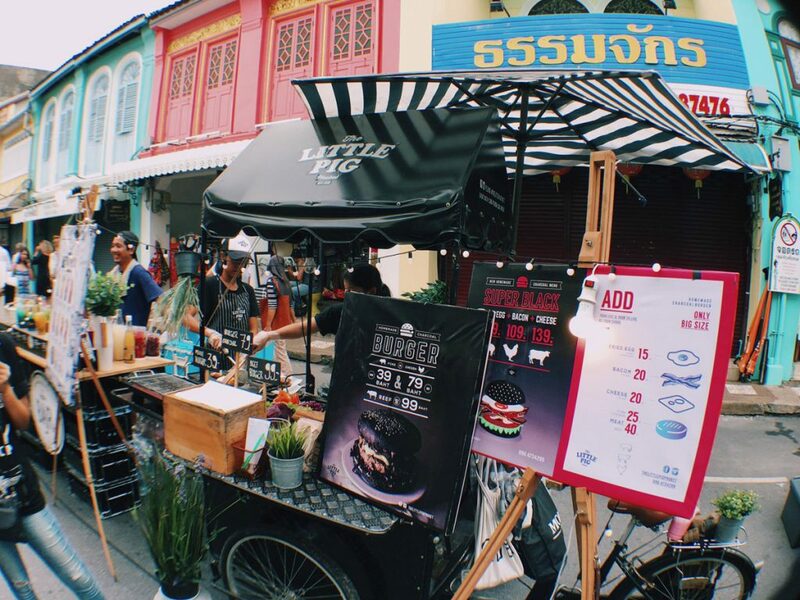 Don’t come with a full stomach because you will discover plenty of cheap and tasty local food! 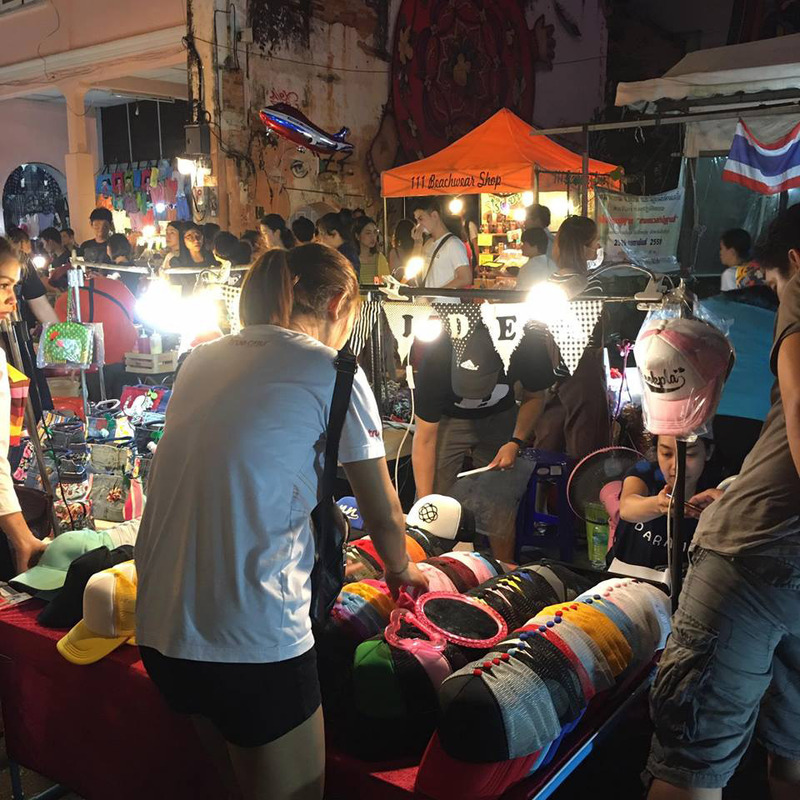 While cheap, the items for sale at the street are usually unique, offering you the chance to pick up distinctive items for people back home or as reminders of your visit to Phuket. What adds liveliness to the Phuket walking street are the live street shows by local performers. These include street dancing, live bands, painters, and comedians. Over the years, the walking street has become an attraction for tourists and a popular destination for locals to visit and relax after a busy week. The Sino-Portuguese architecture of the buildings lining the Phuket walking street reflects the island’s history and culture. 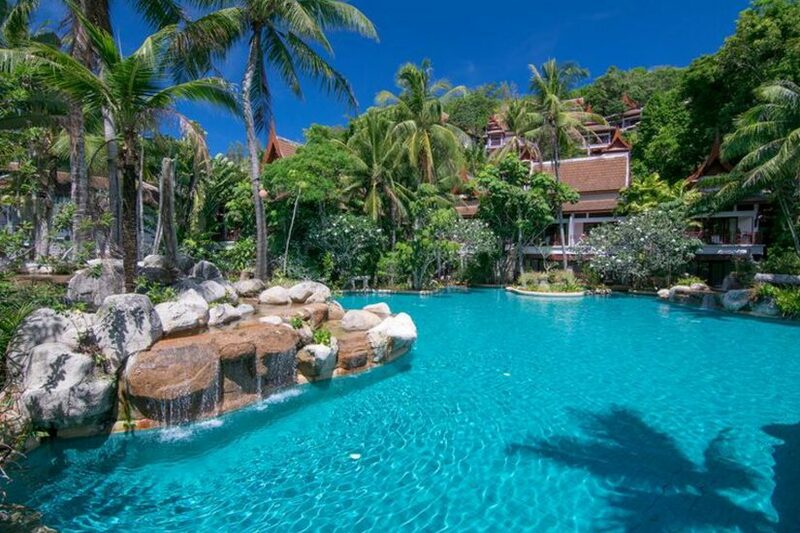 The architecture is different from many building areas in Phuket that are typically Thai style or modern. Walking alongside these beautiful buildings will take you back to the charm and the way of living of the locals a century ago. During the night, the buildings are lit up in contrasting colors, enhancing the atmosphere of the walking street. If you find yourself with nothing to do on a Sunday evening, be sure to visit the Phuket walking street. Make your Sunday evening a worthwhile one! Location: Thalang Road, between Yaowarat and Thepkrassatri Road.